DEADLINE March 1st 8pm....sharp Let go get "Back to Back" District Titles as the road to state begins here "Lace-Up"
Our mission is to Find, Build, and Train the finest wrestlers in the greater Wichita Area in Folkstyle, Freestyle, Greco, and Summer Technique. 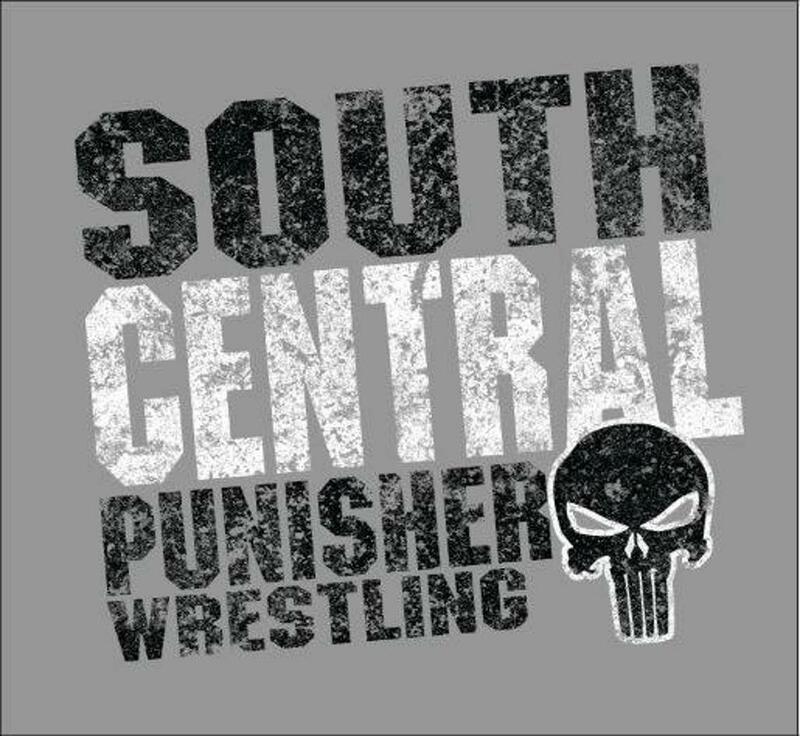 The purpose of the South Central Punisher Wrestling Club is to promote the sport of wrestling to area youth through instructional training of proper wrestling techniques, as well as prepare them for middle school and high school wrestling. The South Central Punisher Wrestling Club has a highly qualified coaching staff assisting in the instructional training of the Club’s wrestlers, a sound vision, and providing additional wrestling opportunities across the state and nation. Our coaching staff conducts all training in an environment designed to promote a fun, yet informative, training experience. Hard work, dedication, and sportsmanship are promoted, however it is through positive reinforcement and environment that our staff provides the best possible training for each wrestler.